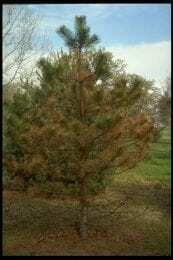 Now is a really good time to check for Dothistroma Needle Blight on Austrian, Ponderosa and Mugo pine trees. 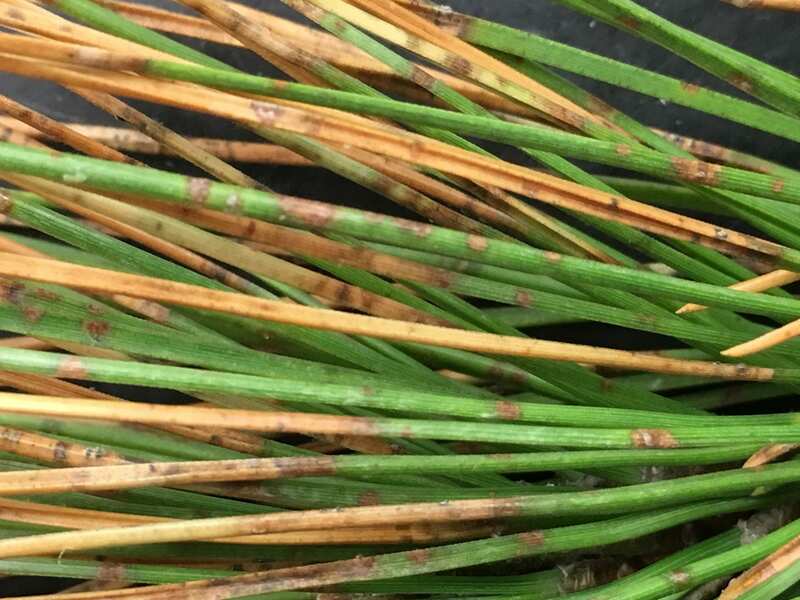 Several pine samples from northeast Kansas have the K-State Plant Disease Diagnostic Lab with classic symptoms. This disease tends to show up in crowded, mature pine plantings. The key is crowded plantings that lead to poor air circulation. Wet weather and poor air circulation lead to increased disease severity. If you are trying to sort out winter damage from Dothistroma needle blight, the first thing to do is to look into the bottom of the tree. Dothistroma causes needle shedding and tends to be more severe in the bottom of the tree. Essentially when you look into the bottom of the tree, the interior needles are gone and all of the lower limbs tend to be bare. 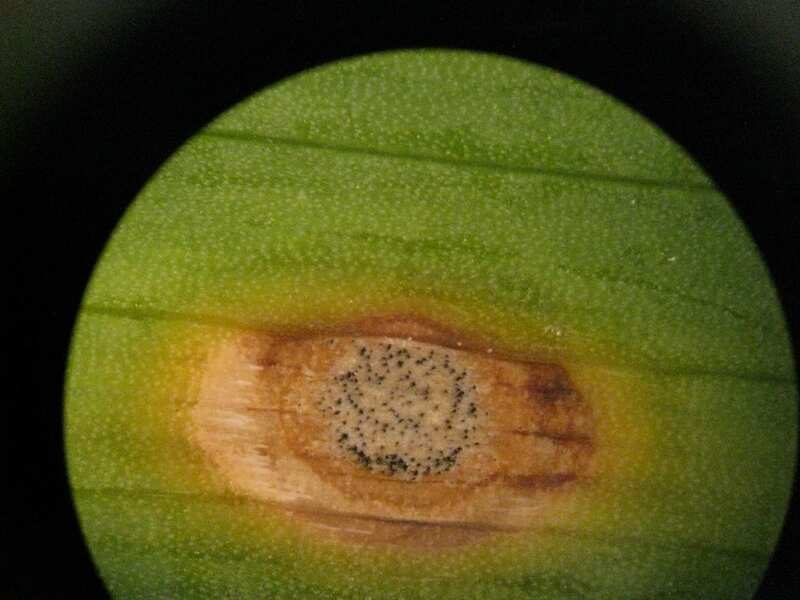 Needle loss tends to be particularly severe in crowded windbreaks where air circulation is poor. Next take a look at the foliage. The needles will have scattered spotting and a half needle scorch. The outer needle tip will be brown and the inner portion of the needle will be green. Each needle will be affected in a different location. 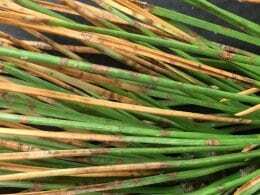 You can contrast this with winter burn which can also produce a half needle scorch but will always burn all of the needles back in exactly the same location. Plus the damage tends to be in the outermost foliage. The last thing to look for is raised black fruiting bodies (acervuli) on the affected needles. This is diagnostic sign for the disease. You may need a magnifying glass or 10X hand lens to see them, although when they are fully mature they are visible with the naked eye. The fungal fruiting bodies don’t start developing until late December or January, but now is a good time to look for them. If you don’t initially see them you can put the suspect needles in a Ziploc bag with a wet paper towel for couple of days. The high humidity will help the fruiting bodies pop out. Dothistroma needle blight and winter damage can look very similar. 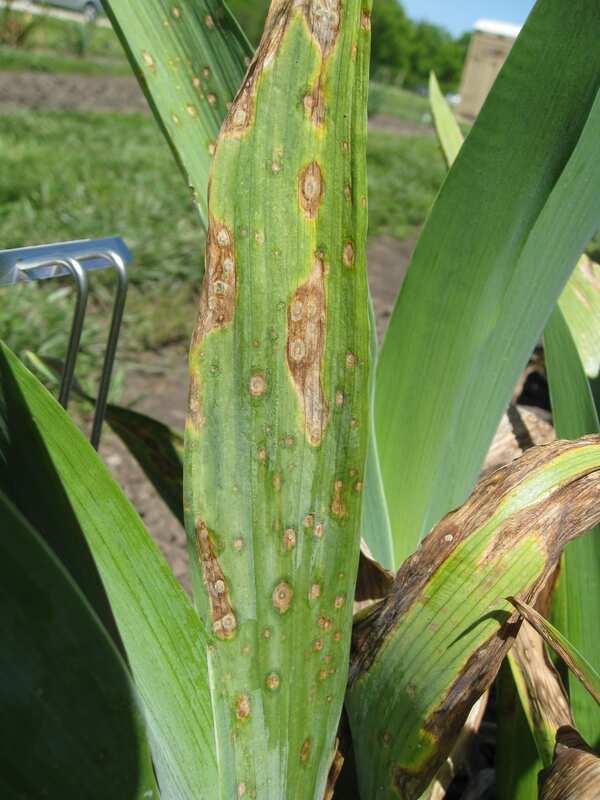 If you are going to spend money to treat for the Dothistroma needle blight disease then it is a good idea to confirm that the disease is present. 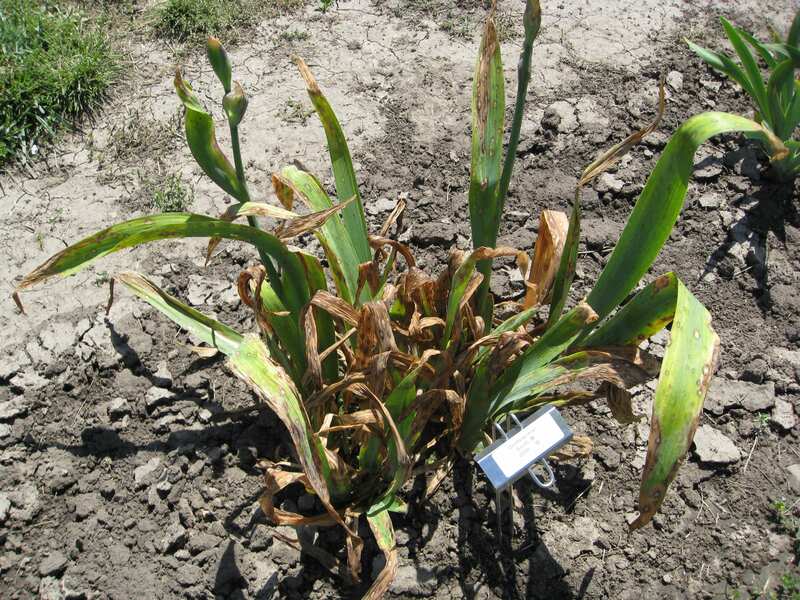 Samples can also be sent to the K-State Plant Disease Diagnostic Lab at the address listed at the bottom of this post. 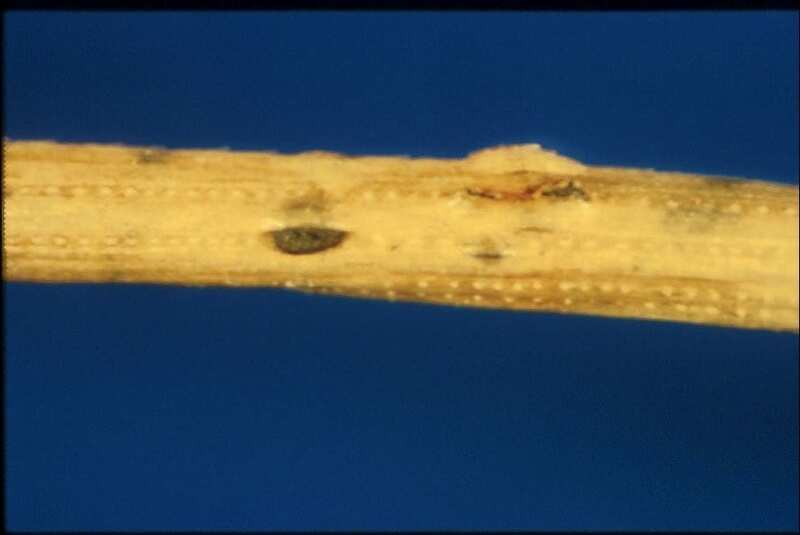 Dothistroma needle blight can be managed with fungicides. 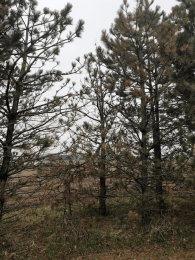 Pine wilt has been killing our pines for decades. It is caused by a nematode (microscopic worm) that is spread by a beetle. 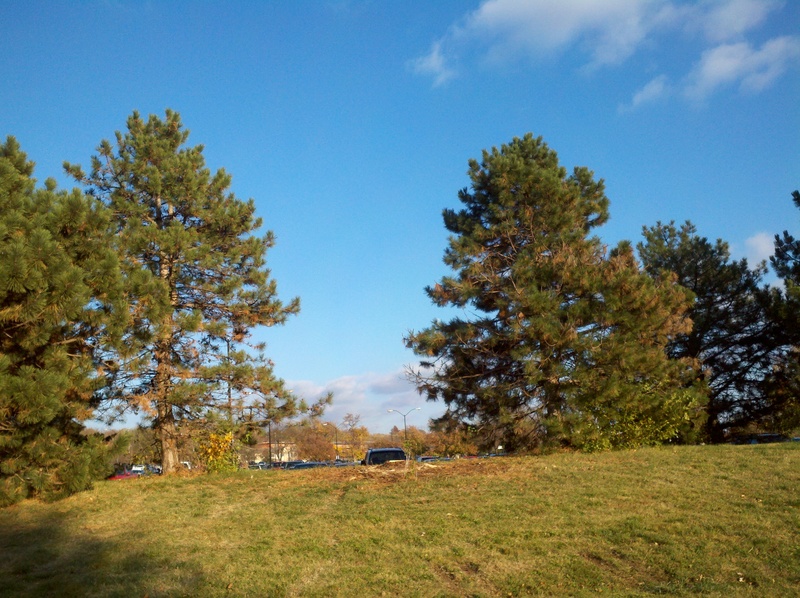 The nematodes and beetles spend the winter in dead and dying trees. The beetles, loaded up with nematodes, start emerging in late April or early May and spread to new trees. Got pine wilt? Get that tree outta there! Chop it down, and burn or chip the wood, making sure not to leave stumps. 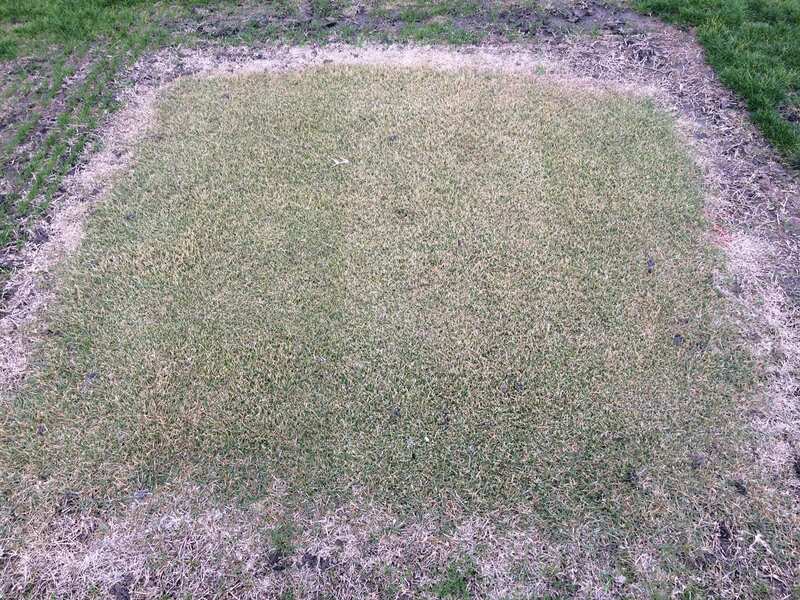 Get this done in early April to stop disease spread. 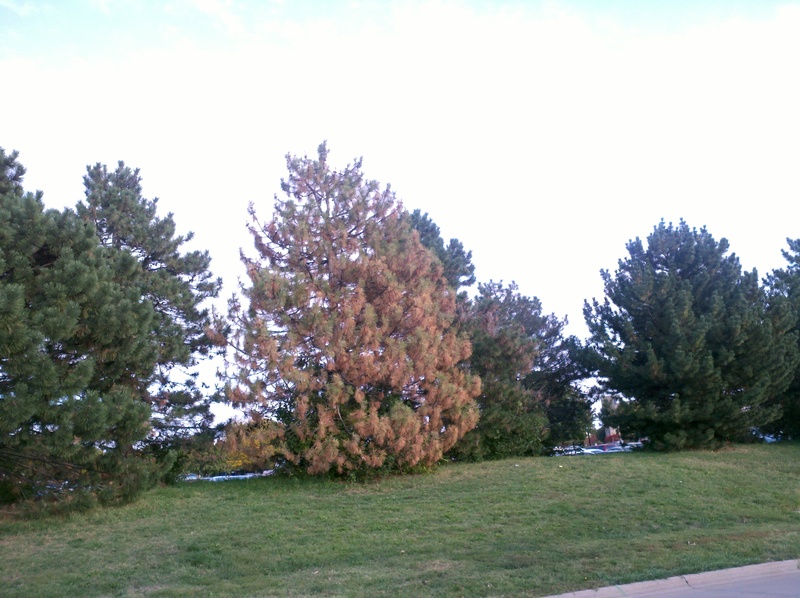 If you have a dead pine in the eastern 2/3 of Kansas it could very well be pine wilt. Sure, it could be something else, like drought, but if it’s dead anyway you might as well assume it is pine wilt, and get it out and destroyed. You can send a sample in to KSU for testing if you want to know. Entirely dead tree? Cut it down and destroy the wood by chipping or burning. Finally I think we have turned the corner into Spring. With that, I see more and more of my neighbors, and myself, working in the yard. I get excited when the turf starts to turn green. But before I get too carried away I want to get out on the right foot and planning is everything. 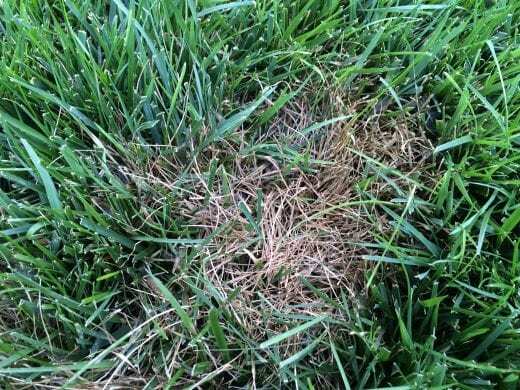 To help help you plan out your lawncare program below are monthly calendars for tall fescue, Kentucky bluegrass, buffalograss, bermudagrass and zoysiagrass. 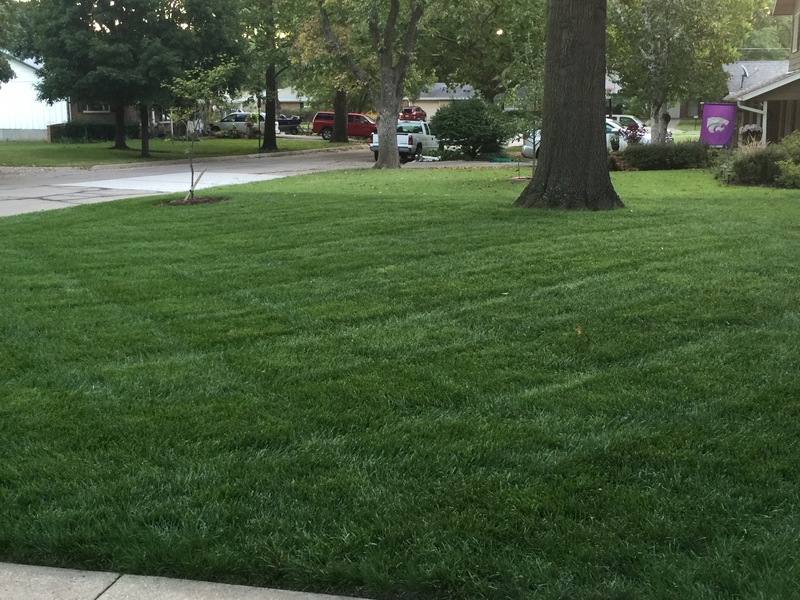 HOME LAWN WINTERKILL– It was a fairly harsh winter in this region. 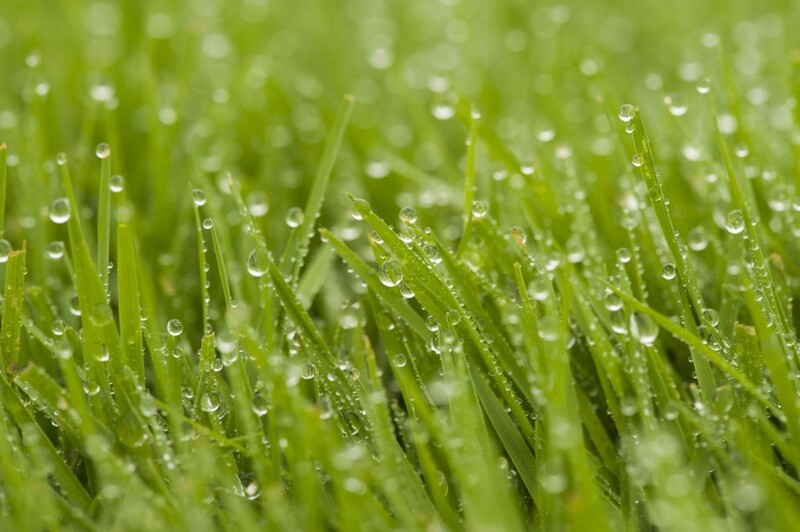 And that has homeowners wondering if their lawn grasses were adversely affected by the extended cold and wet conditions. 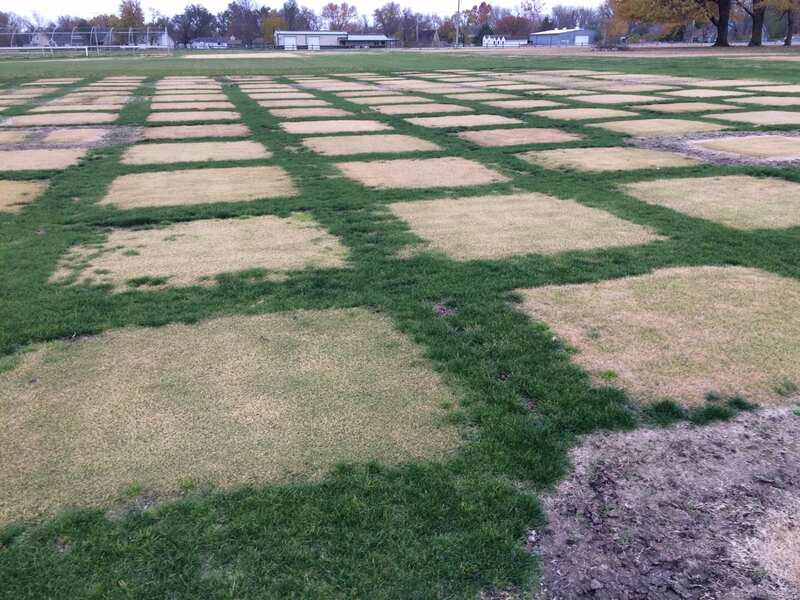 K-State turfgrass specialist Jared Hoyle says while the likelihood of outright turfgrass winterkill is relatively low, some limited damage may have occurred. This quote from the “Chemical Control of Turfgrass Diseases 2017” publication at University of Kentucky and Rutgers University, really sums up why we have diseases in our turfgrass systems. 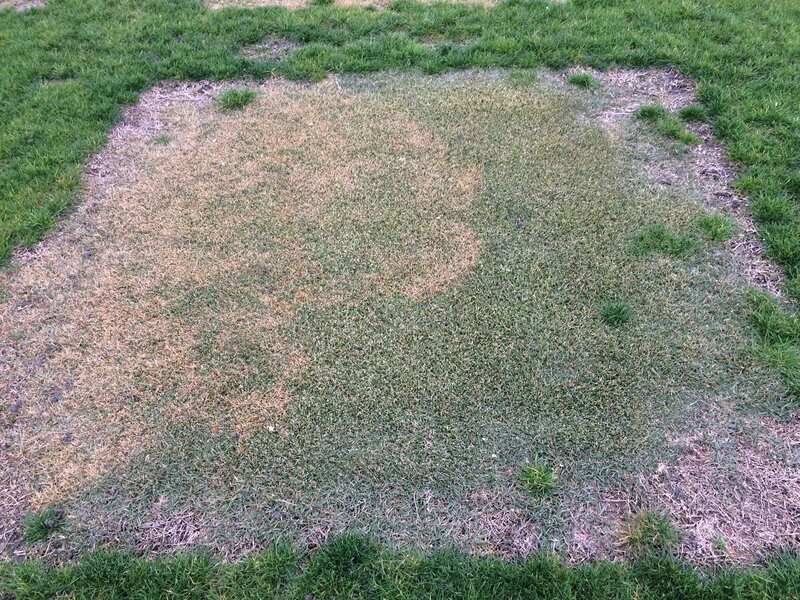 Many times we have no control over weather or the cultural conditions that favor disease-casuing agents and those same conditions do not favor turfgrass growth. To prepare for 2019 download this publication from Drs. Vincelli, Clark and Munshaw and keep it around as a great reference. I keep a copy of this publication along with my weed control manual (https://blogs.k-state.edu/turf/new-turfgrass-weed-control-for-professionals-2019/) at all times. 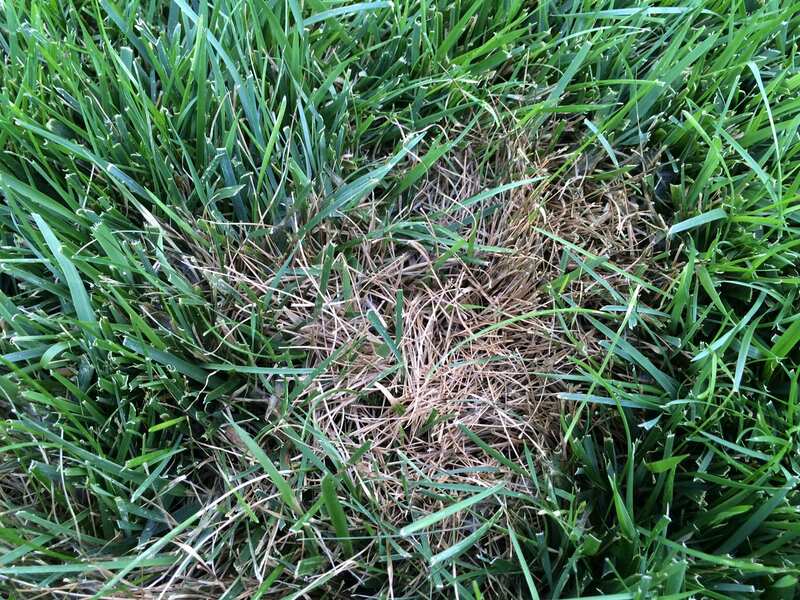 Only of our good friends to the east, Dr. Lee Miller, posted his first disease report of 2019. In this update he covers what we have been through over the past winter and what to look for in the weather to come. Check it out! This is some great information, especially if you are on the east side of Kansas.